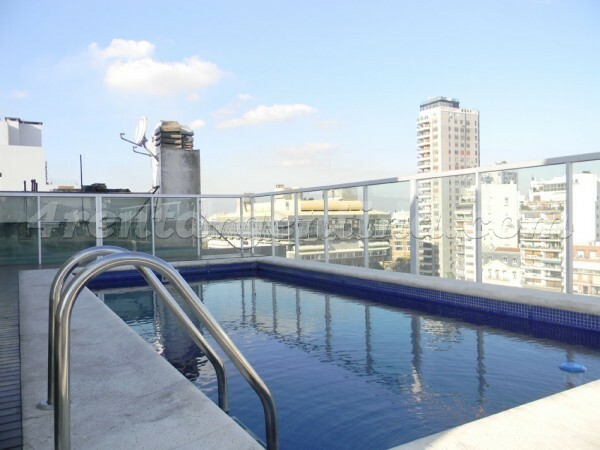 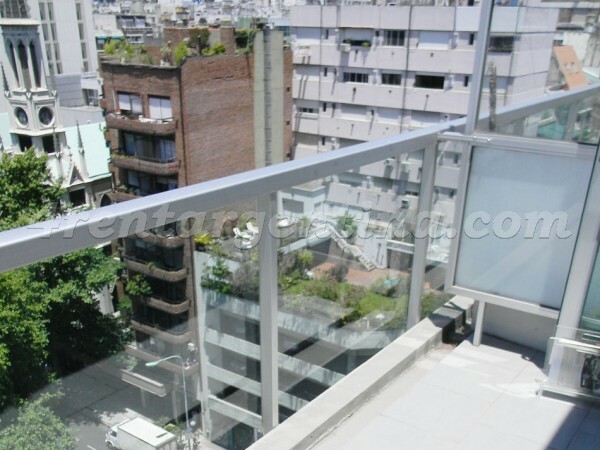 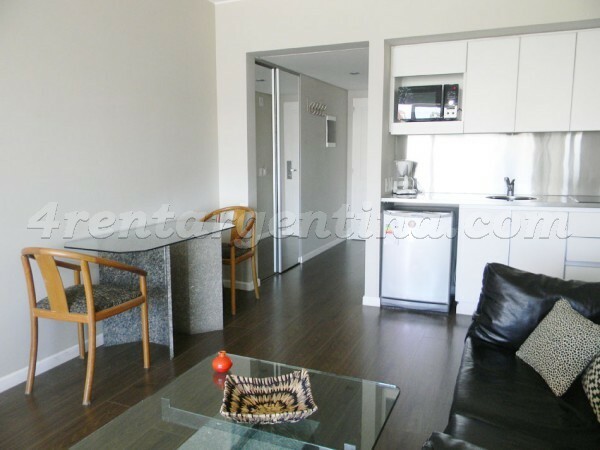 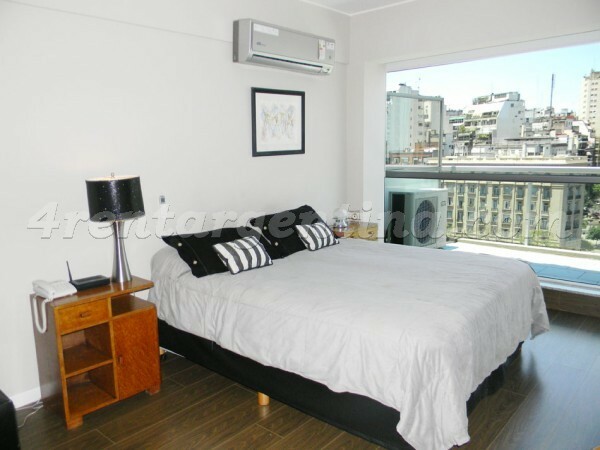 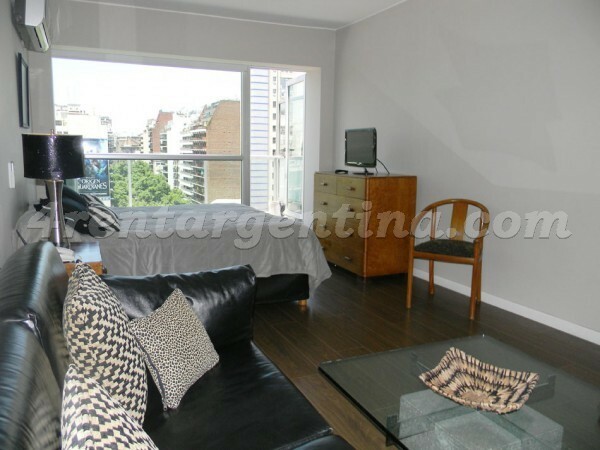 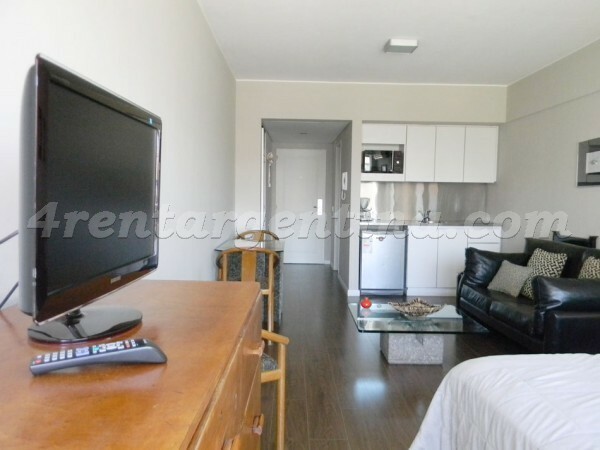 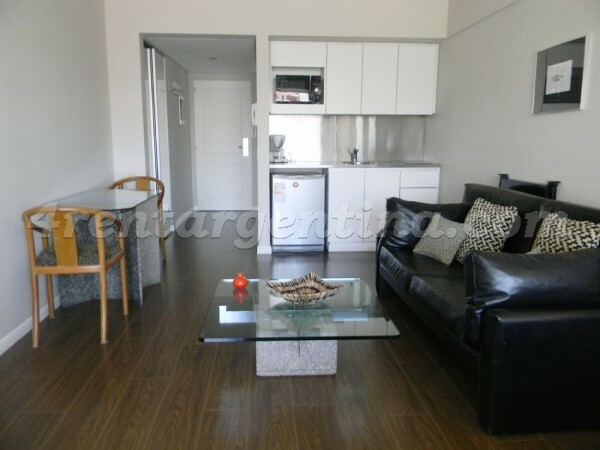 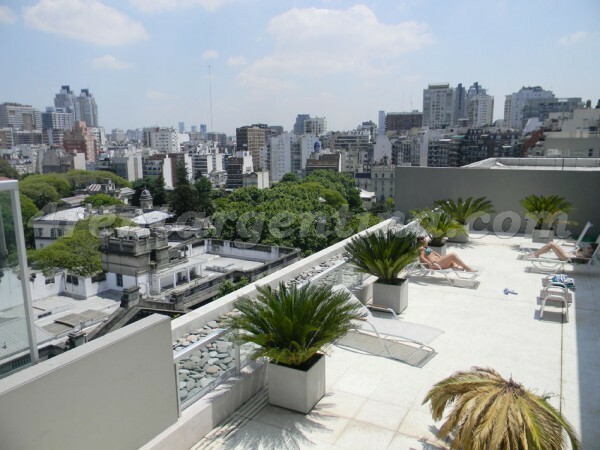 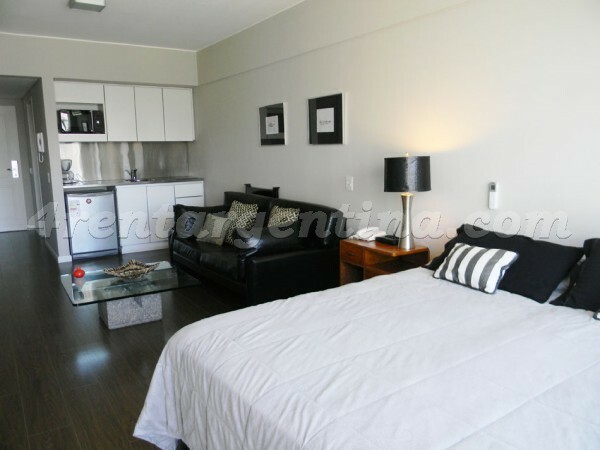 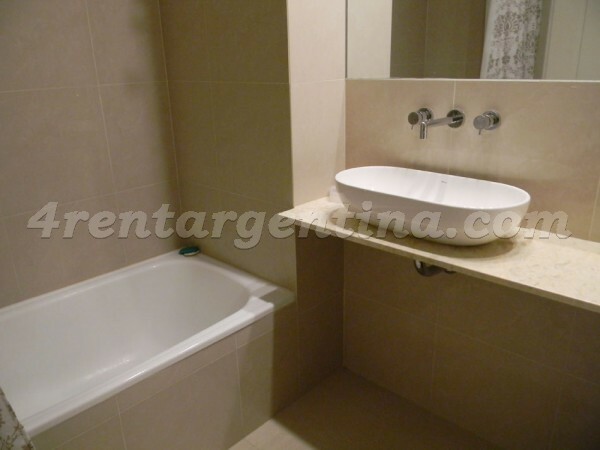 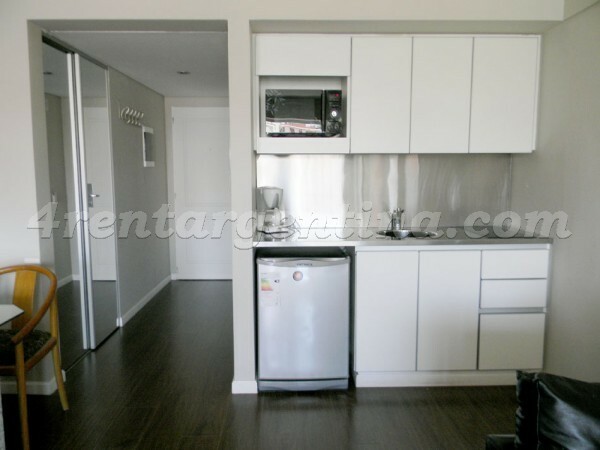 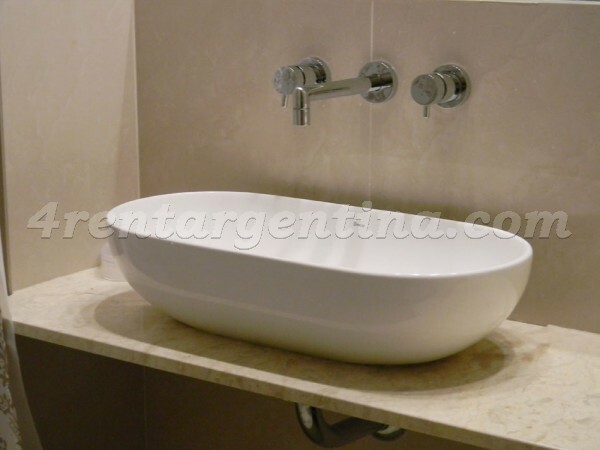 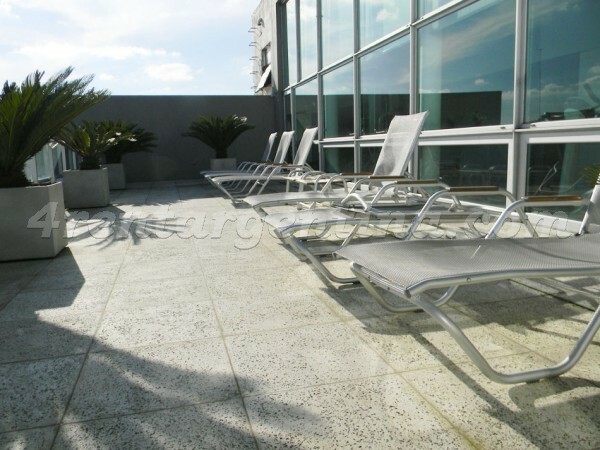 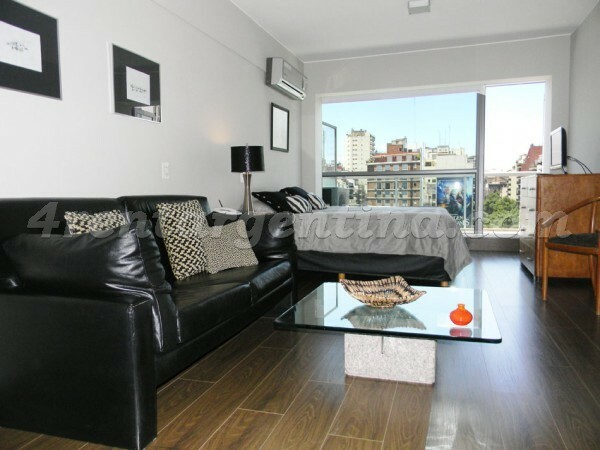 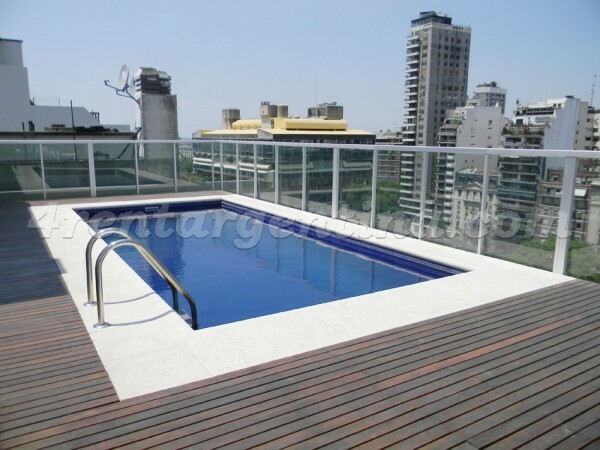 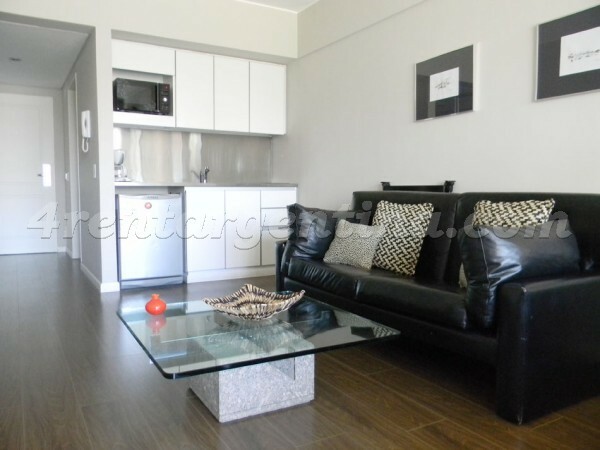 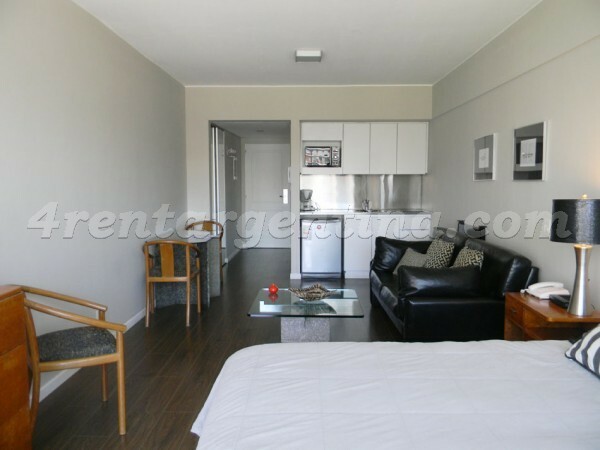 Elegant furnished apartment for temporary rent in Buenos Aires, located in the prestigious Recoleta neighborhood, a few meters away from Las Heras Avenue and very close to Pueyrredon Avenue, in an area surrounded by several means of transportation, shops and restaurants. 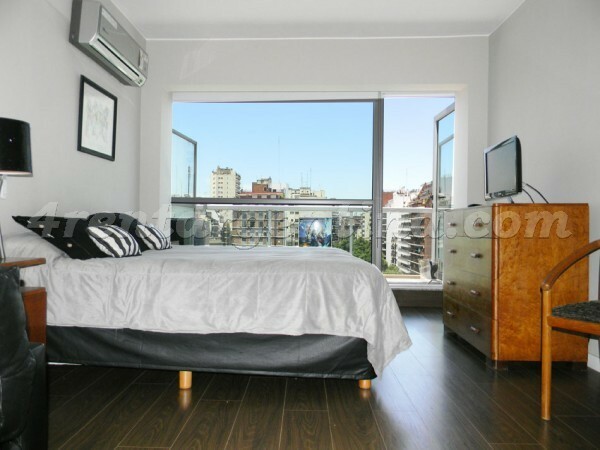 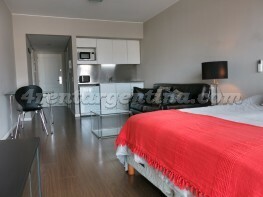 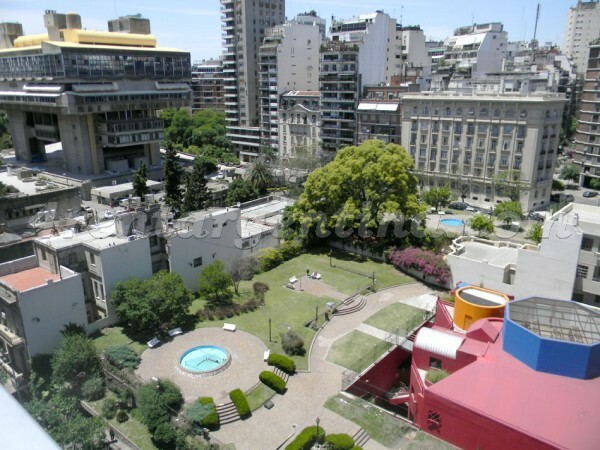 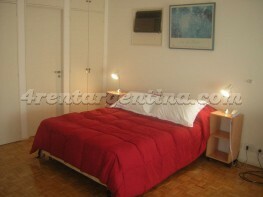 This luminous studio apartment is ideal for two people, features a nice view over Biblioteca Nacional patio and has everything you may need for a perfect stay in Buenos Aires: two single beds that can be turn into a double bed, a fully-equipped kitchen with electric stove, a full bathroom with tub and a great balcony. 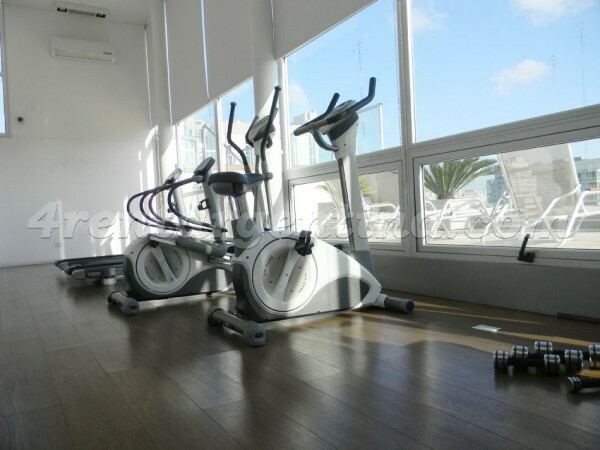 Besides, the building has a lobby, a swimming-pool, a solarium, a sauna, a gym and a laundry.